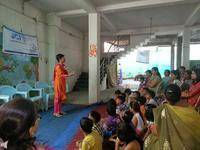 I conducted training program at JCI Nagpur Green City on “Stress Management” on 27th April 2014. My audience comprised of school students and ladies. We all know everything that exists on this earth is a form of energy. Energy can never be created nor destroyed but can be transformed from one form to another. Our body is also a form of energy and body gets energy from the mind. 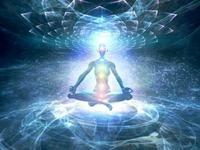 Our mind is originator of all forms of energy in our body. It is the super computer which controls all our bodily functions and well being. Every person on this earth is born with a responsibility to be handled in the long run. God has created every human being and have send him/ her here to do a certain task which can be done by no one else except that person. Responsibilities makes life worth living and it is the responsibility which makes us capable and strong to handle the task at hand. Compare two people one with responsibilities and the other with no responsibilities, you will know the difference between the two with the way they handle their life, talk to people, attitude and body language. Attitude is the thinking with which we live. The way we perceive life and live it is our attitude. We have heard of optimistic and pessimistic people. Optimist's are those who carry a positive attitude towards life while the pessimists carry a negative attitude. There are people whose attitude remains negative no matter what happens to them while there are people whose positive attitude changes to negative and again comes back to equilibrium when a problem passes over. I was invited as judge by G.H. 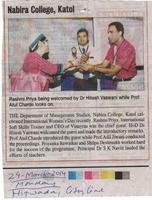 Raisoni Academy for Human Excellence to judge “Prastuti” Inter Collegiate Power Point Presentation Competition for College Faculty on 1st February 2014. It was indeed a great moment to share stage with Chief Guest Mr Mishra (IRS Commissioner), Prashant Joshi, Asma Banu, Dr. Yasin G.M. Sheikh (Director, G.H. Raisoni Academy for Human Excellence), P.A.Varhadpande (Manager, G.H. Raisoni Academy for Human Excellence). I received recognition from Dr Ambedkar College, Nagpur for being a part of Unnati 2013 - 2014. I conducted training program on Stress Management. I would like to thank Dr Pratibha Seria madam and Suresh Chari sir for giving me an opportunity to be a part of Unnati 2013 - 2014. My article on "Gratitude: My Way of Life" got published in Click IT COMP-EX’ 2014 special issue Magazine, January 2014.